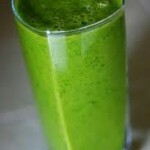 Drink your smoothie as a snack, as opposed to part of your meal. 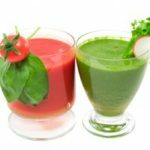 You may eat other food items approximately 40-60 minutes before or after your smoothie, but you want to ensure that your body has an adequate amount of time to consume the maximum amount of nutrients from the smoothie. Other snack items can interfere with your body’s ability to absorb the nutrients it needs. 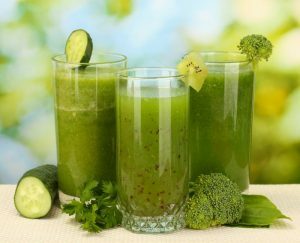 However, your raw smoothie recipe may be accompanied by a glass of water. 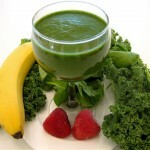 Do not add fifteen different ingredients to your green smoothie recipes as you prepare them. 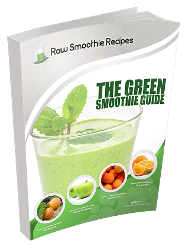 At most, you should not add more than 3-5 ingredients per smoothie recipe. This is to make the absorption and digestive process easier on your body and to derive the maximum amount of nutrients from the ingredients you do add. 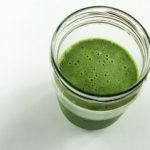 As a general guideline you should avoid adding starchy vegetables to your green smoothie recipes, including carrots, green beans, and cauliflower. 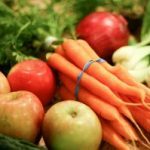 Could I add some yogurt to have my pro-biotics? “Do not add nuts, oils, or other supplements” I have found that adding small amounts of almond and coconut butter; maca; hemp powder and chia does not slow me down and I do not use water in my smoothies but instead I use almond or coconut milk. I like a more of a slushy-type smoothie so I add a few ice cubes. Should I Not be doing this? Hello Judy, right it is general starting advice. 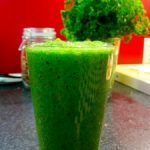 The biggest thing is working it from a very oure cleansing method at the get go and then experimenting to what your body reacts to 🙂 the above is not one way or the highway advice simply beginners guidelines. What you are doing is totally good. It is important to watch the fat content as all in all some of that will slow you down. Using ice and coconut milk or almond milk works too!